Barter Books : Birch, C [ed.] 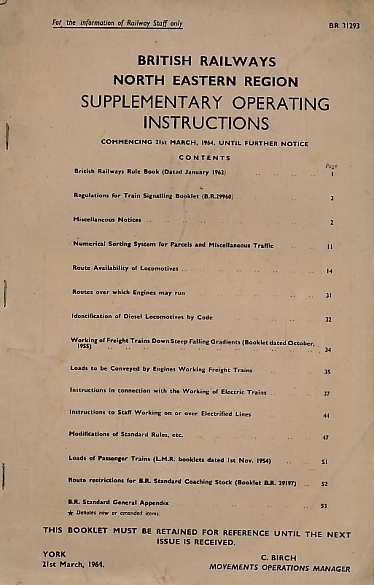 : British Railways North Eastern Region: Supplementary Operating Instructions. 1964. 280 x 180 mm (11 x 7 inches) - 55pp. G : in Good condition without dust jacket. Pages browning.